The DDJ-SX2 is the industry’s first controller to give DJs dedicated control of the new Serato Flip functions within Serato® DJ . Serato Flip is an expansion pack for Serato DJ that gives DJs the power to record and re-play hot cue sequences on the fly. The DDJ-SX2 is the only controller with designated buttons – Record, Start, and Slot – to put intuitive Serato Flip performances at their fingertips. 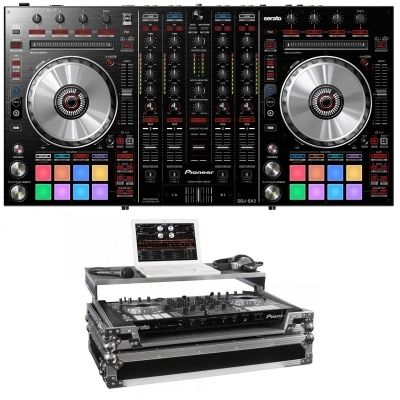 The four-channel DDJ-SX2 builds on the popularity of its predecessor, but inherits two must-have features from the top-flight DDJ-SZ: Performance Pads with velocity sensitive, multi-colored LEDs and on-jog digital cue point markers. The DDJ-SX2 is also Serato DJ DVS upgrade ready and boasts improved jog wheel reaction time.